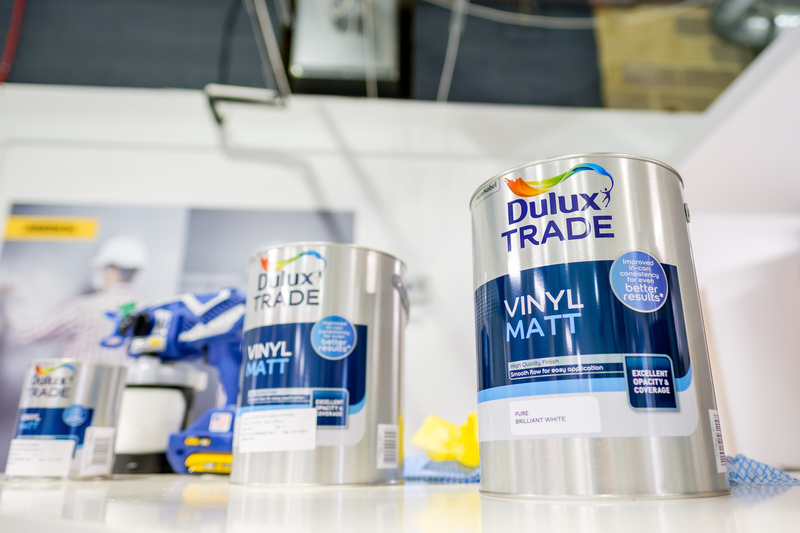 Dulux Trade has launched a new Vinyl Matt formulation. AkzoNobel’s product development scientists have used the latest technology to offer improved application properties and a better finish. The new Dulux Trade Vinyl Matt has an improved in-can consistency that can be applied with or without thinning. Offering a smooth flow for easy application, the new formulation also has the benefit of reduced fly-off for a more efficient decorating process. The improved consistency also supports the delivery of a high quality uniform finish, whilst continuing to deliver opacity and coverage. Suitable for all normal interior wall and ceiling surfaces, the formulation offers great colour retention, and as a low sheen matt, it is ideally suited to covering imperfections. It also provides a coverage rate of up to 17m2/l. Paul Dougherty, AkzoNobel’s Head of Product and Portfolio Marketing, said: “We have dedicated a huge amount of time to understanding appliers’ and specifiers’ real needs and there’s no doubt that after two years of investment, we’ve produced a Dulux Trade Vinyl Matt range that delivers the level of excellence expected from Dulux Trade.